Step inside and fall in love! 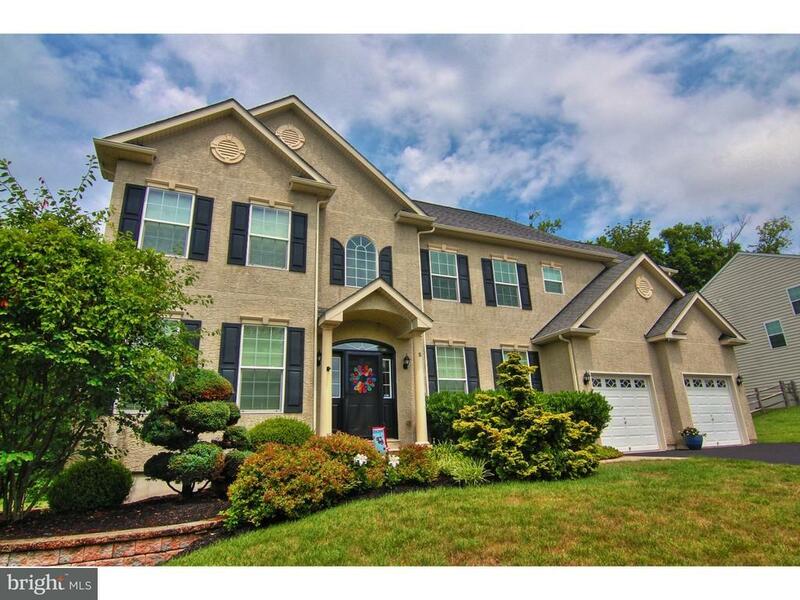 This breathtaking 4, 500+ square foot home in Pottsgroves desirable South View neighborhood has it all! The sellers have spared no expense from the hardwood flooring throughout the first floor, to the vaulted ceilings, upgraded lighting and tasteful decor. Entering the home you will immediately notice the 2 story foyer with added trim work and open staircase. A formal living room to your left and a office/study to your right. Passing through the foyer you will find a gorgeous kitchen complete with tile floor, ample 42" cabinetry, granite counters, recessed lighting, gas cook top, double oven and island! A spacious pantry is an added bonus! Off of the kitchen is a sunny breakfast room with vaulted ceiling, fan and sliders to the rear deck. Open to the kitchen is the family room boasting high vaulted ceiling, gas fireplace, more recessed lighting and fan. Rounding out the first floor you will also find a formal dining room, convenient first floor laundry and a half bath. Ascending either one of the homes two staircases to the open second level you find yourself at a double door entry into the master suite. The suite offers a large bedroom, additional bonus/sitting room, walk in closet, linen closet and one of the largest master bathrooms you will find! Tile floor, double vanity, soaking tub and shower afford you all the comforts you need. Also on the second level there are 3 nice sized bedrooms, a full hall bath, as well as a full Jack & Jill bath. As if this wasnt enough, the basement is fully finished giving you an additional 1, 100 square feet of living space! The full walk up third floor is unfinished and provides options for storage or even more finish-able square footage! Did I mention the whole house sprinkler system for added peace of mind and lower homeowners insurance costs? There is an exterior landscaping sprinkler system as well. South View features a community walking trail to enjoy. It is conveniently located to Pottstowns North End and is a short drive to major routes, shopping, schools and more! With LOWER TAXES and rear wooded privacy, come find out why this home checks off all of your boxes! Welcome home! Recently appraised for $425, 000 and ALL inspections are complete!